People are going to think it’s fixed. It’s not fixed. Blogtoberfest is not fixed, folks … we just have a budding Meryl Streep of blogging on our hands. Maybe more of a Daniel Day Lewis…anyway. The winner of Blogtoberfest 2015 has been chosen (by you, the readers! Thanks! ), and she already holds the title from 2012! 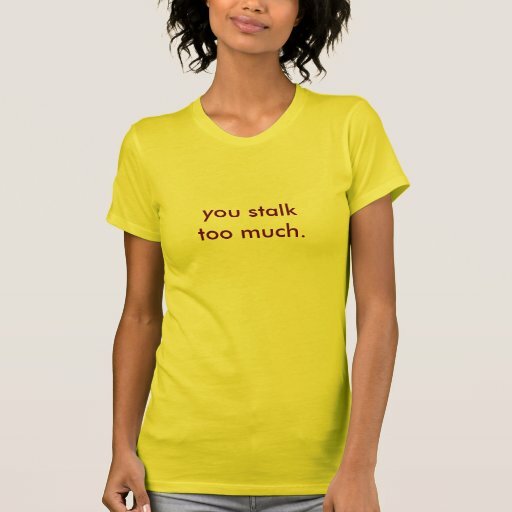 For her Guest Post Taking Candy From Strangers, Sara Wentworth of Secret Society Art has won the very popular and slightly appropriate ‘you stalk too much’ t-shirt from the Jump Shop. Take a minute to check out Secret Society Art, too…Sara and her husband Adam are self-taught artists who live and work on Cape Cod. Don’t buy the Aldous Huxley portrait, please. That one’s mine.